Christmas Throwback: What if Jesus had been born in Costa Rica? This article was originally published on Dec. 22, 2014. I wrote last time about the luxuries of a Costa Rican Christmas, but I recently realized that my absolute favorite part of this time of year is something very simple, and also one of my favorite dichos: hablando paja. Literally translated as “talkin’ straw,” it can have a negative connotation, because if you’re hablando paja (or a little stronger, pura paja, which can describe what people say or the people themselves), it can mean that you’re full of hot air, making promises you won’t keep. But it also has a meaning closer to “shooting the breeze,” and to me connotes the lazy, laid-back, meandering conversations of late December, when the crazed shopping and End-of-Days traffic has ended, and life is slow. I had just such a conversation a few Christmases ago. A group of my husband’s friends and I were sitting around, drinking coffee, eating tamales and admiring the portal of the couple whose house we were in. Like many things Costa Rican, the Nativity scenes here are bigger and bolder than the version I grew up with: our crèche was a sedate affair the size of my hand, while I’ve seen several here that take up half the living room. This one was particularly elaborate. The Three Kings were poking along on the floor, their plaster steeds gazing balefully at the steep journey ahead up a winding mountain road to Joseph, Mary and Jesus, perched at eye level. On their way, they’d pass lights, sloping fields of sheep, even a bridge over a little river. The couple was celebrating their first Christmas in their own place, and they’d obviously put a lot of work into this scene. There was a little pause, the unmistakable sound of brains whirring. I knew it well. “The next one falls into that pothole that swallowed the car,” someone ventured. They were off. “Yeah, and Joseph’s all bummed, like, mae, que ahuevado, you three were supposed to bring the chifrijo, birrillas and Tronaditas.” “Take off those shepherds and put on a guachimán watching over his cars by night.” “Put in a sloth instead of sheep.” “No, no animals! There was general assent. “Why?” I asked, the lone Gringa. That’s hablando paja. It’s a perk of a season that seems to get shorter and shorter each year as Costa Rica shuts down less and less during the holidays, but that is still a welcome breather, a time to be aimless. Of course, where I come from, it’s the season of Hallmark, very special sitcom episodes and goofy sincerity, so I can’t close without saying that whether you’re in Costa Rica this holiday or far away; whether this is your patria, your adopted home or just a twinkle in your eye as you dream of vacations to come; whether you celebrate Christmas with midnight explosions or heaps of snow or not at all – I wish for you the best parts of a portal a lo tico. What does that even mean? Much more than just a guachimán and a drunk Joseph, that’s for sure. A Nativity set in Costa Rica means wry steadfastness in the face of the Platinas of life. It means an ability, an eagerness, even, to laugh at yourself during a holiday that otherwise sets the bar too high. It means space and time to shoot the breeze, languid conversations meant to go nowhere, pure straw, pure air. It means a deep breath we need in late December, that cherished respite between “One More Shopping Day ‘Til Christmas!” and the unrelenting cheerfulness of New Year’s Resolutions, this year all coming on the heels of a series of particularly heartbreaking, troubling and violent events for many people around the world. It means that I wish we will all give ourselves a break, because we deserve that, despite our many failings. We deserve it if, like Costa Rica itself, we are struggling upwards past litter and crime and potholes and bureaucrats, but struggling nonetheless, climbing still, brave enough to set our sights on peace. Thanks for reading The Tico Times. We strive to keep you up to date about everything that’s been happening in Costa Rica. We work hard to keep our reporting independent and groundbreaking, but we need your help. The Tico Times is partly funded by you and every little bit helps. If all our readers chipped in a buck a month we’d be set for years. 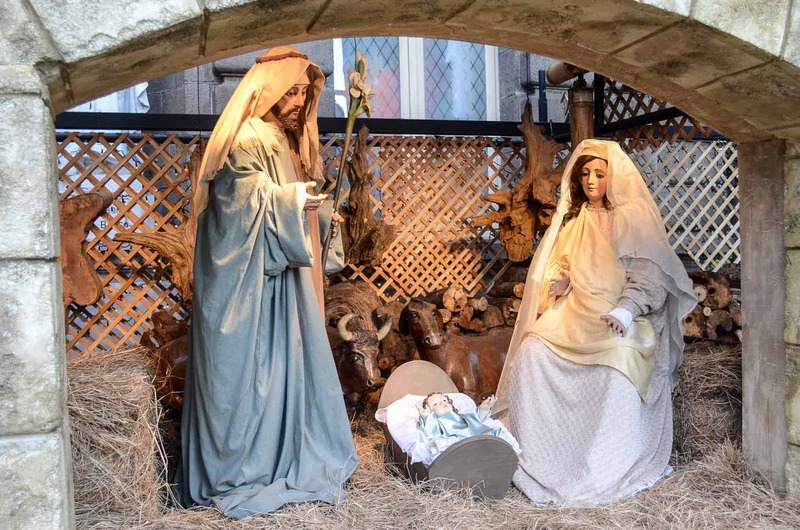 Hablando paja: What if Jesus had been born in Costa Rica?